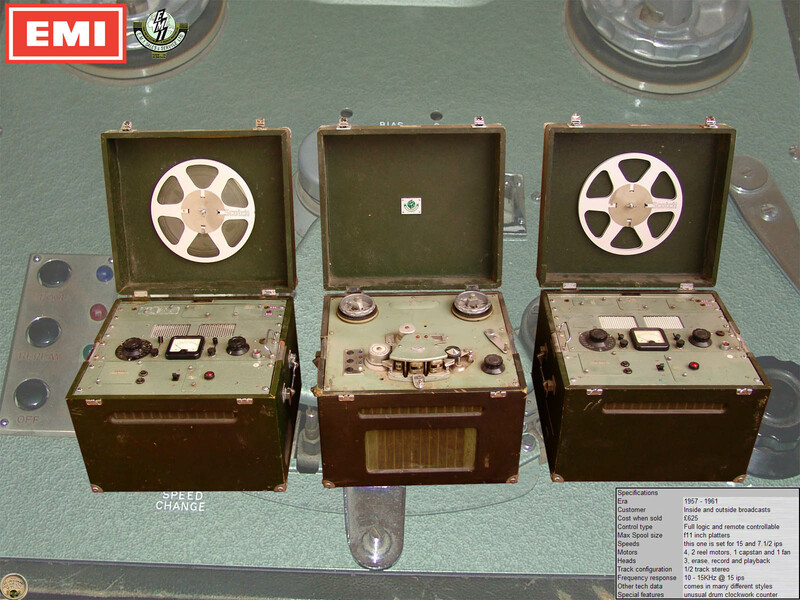 The EMI TR-90 came in three different styles, one of which was housed in a console, the second in a rack mounting and the third in mobile cases. The description of this recorder is a TR-90 "transportable". As this recorder is very heavy and to move it in one go requires three people, it would not fit into the portable category. These machines where well used in radio stations and would have been used all over the world. They had a great reputation for their quality. This recorder would have been housed in a van or car. The owner of this machine told me how it was set up in a mobile radio stations.